The Ballona Wetlands System is a diverse array of habitats in various states of restoration. Over 300 species of birds have been observed throughout the system, from Ballona Creek, throughout the Ecological Reserve, to the Freshwater Marsh and Riparian Corridor. Friends of Ballona Wetlands’ Scientific Program monitors the avian diversity of the wetlands, performs annual butterfly counts, and monitors our restoration efforts to inform adaptive management and track success. 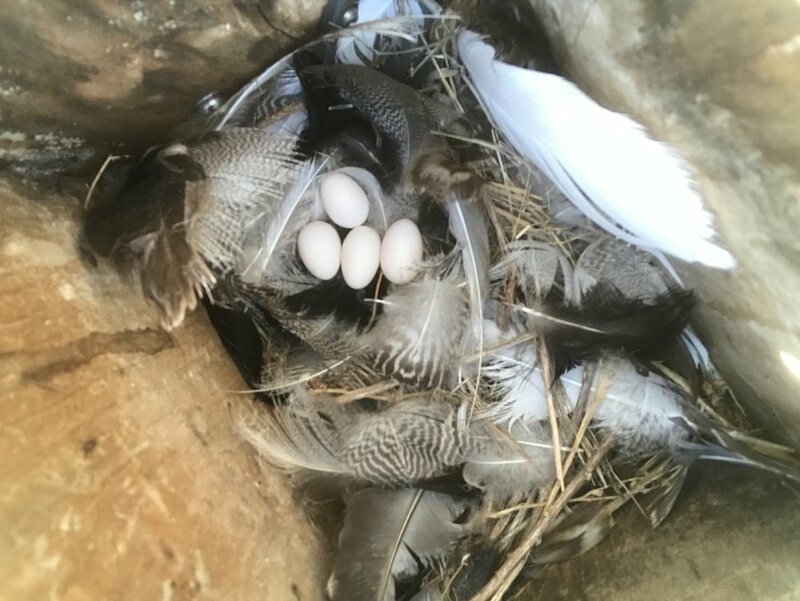 We also lead the Swallow Nest Box program at the Freshwater Marsh, and we encourage the community to create bio diversity in their own backyards through our “Grow Native!” Program. Friends of Ballona Wetlands is committed to documenting the wildlife in the Ballona Wetlands. Birds are important indicators of ecosystem health. For years we have led monthly bird counts at Ballona Freshwater Marsh by bringing together a team of volunteer experts to survey the entire area to keep track of resident birds, migrating visitors, and those nesting in the marsh. Starting in 2019, we took a giant leap forward, by beginning quarterly surveys of the entire Ballona Wetlands System, including the Playa Vista Riparian Corridor, Ballona Creek, and the Ballona Wetlands Ecological Reserve. We are collecting presence, nesting, and habitat use data. Friends of Ballona Wetlands also perform annual butterfly and dragonfly surveys in the Ballona Wetlands Ecological Reserve sand dunes, Ballona Freshwater Marsh, and Ballona Discovery Park. In 2011, the Federally Endangered El Segundo Blue Butterfly, previously extirpated from Ballona, was discovered at our restoration site. Since then we have partnered with local El Segundo Blue experts to monitor the population, along with the other species of butterflies present at Ballona. Years ago, a number of nest boxes for Tree Swallows were placed at the Ballona Freshwater Marsh and along the Riparian Corridor by other organizations. Friends of Ballona Wetlands has absorbed this program and revamped it. In 2018, we spaced out the boxes to reduce competition among male swallows at the marsh. We also monitored the boxes weekly to track nesting success. We observed 5 boxes were used and fledged young, for a total of 18 chicks. In 2019, we replaced many of the damaged boxes. We will monitor again this year and compare nesting success. In 2018, we introduced a brand new program called “Grow Native!” which encourages the public to use California Native plants in their yards and on their balconies and patios. We are building a container garden on the rooftop patio of our office building to monitor use by local wildlife and experiment with growing different native plants in containers to build a tried-and-true method of container native gardening.